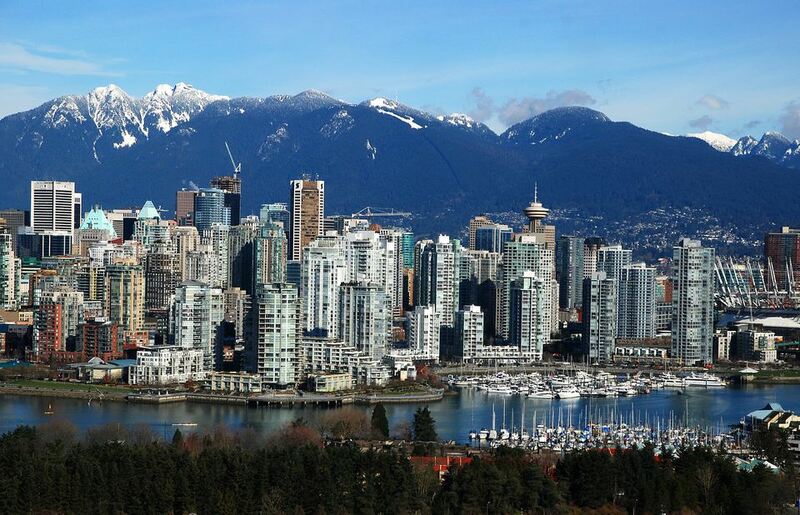 Usually, winter in Vancouver is mild; it doesn't often get too cold to enjoy the city's bountiful outdoor activities. But on rare occasions, the temperature can dip below freezing or it will snow in the city. When that happens, taking the kids to the park or getting enough exercise can be difficult. Generally, the weather between November and April is very wet, so there are plenty of rainy days to enjoy indoors. When it's too cold, wet or snowy outside to keep to your normal routine, use this list of theTop 10 Indoor Things to Do in Vancouver During Winter to find exciting indoor spaces for kids, unusual indoor activities for all ages, and the best places in Vancouver to warm up. Of course, you can also take advantage of a cold spell in Vancouver to hit the slopes: Vancouver's Best Skiing, Snowboarding & Snow Sports. Indoor winter activities in Vancouver can be loads of fun and great exercise, as well as a way to try something new or unusual that you've never done before. Vancouverites are used to rainy winters so the city is well set up for indoor activities. Try playing indoor beach volleyball (on sand) at 6 Pack Indoor Beach in Richmond for a taste of summer indoors. One of the best indoor winter activities in Vancouver is swimming; not only can you get exercise actually swimming, Vancouver's indoor pools have a variety of hot-water / sauna options for really thawing out and warming up. My favourite is the hot pool at the Hillcrest Aquatic Centre, but there are saunas at most of the nine Vancouver Indoor Swimming Pools. If you want an outdoor hot-pool experience, head to the famous Harrison Hot Springs, one of the top Romantic Getaways from Vancouver. Some of the best indoor winter activities in Vancouver for kids are at Vancouver's top attractions, especially Science World. Science World has two areas dedicated to kid activities: Eureka! (with lots of interactive physics games that involve movement, dance, and launching balls) and the toddler-oriented Kidzone, where even young babies can play. Prepare for crowds on particularly bad-weather weekends. And get the annual membership! It's too expensive to pay as you go. There aren't a lot of indoor playgrounds in Vancouver. There is the indoor Adventure Zone at the Kids Market at Granville Island (which can be combined with shopping at or browsing inside the market). Your best bet for daily indoor activities is your local community centre; most community centres have a low-cost Parent & Tot Gym "class" where kids under 10 can run, ride trikes, bounce balls, etc. Other activities at your community centre include indoor classes for kids and adults, exercise classes for all ages, and public, indoor ice skating rinks. Jump and play at the largest trampoline park in Canada at the Extreme Air Park in Richmond. From vertical volleyball to a foam zone and zero gravity basketball, the airpark has a wide range of activities for all ages. Climb high at Vancouver's indoor climbing centers: Cliffhanger Climbing Vancouver & The Edge Climbing Centre in North Vancouver. Newbies can take an introductory lesson with a qualified instructor and old hands can drop in to scale the walls and warm up on a winter day. Head to the Bloedel Conservatory, where inside temperatures mimic the tropics year-round. Located at the top of Queen Elizabeth Park, the round dome of the conservatory is home to 500 tropical plants and 120 bird species. Ideal for all the family, a typical visit there takes around an hour... or longer if you want to enjoy the heat for a little while longer. Opened in the 1960s during the height of the space race, Vancouver's very own H.R. MacMillan Space Centre is a popular place to enjoy the great indoors. Fill a half to full day of fun at the Space Centre with shows at the Planetarium Star Theatre that highlight planets, meteor showers, nebulas, black holes, galaxies, and other astronomical wonders. Head to the Cosmic Courtyard Gallery for the chance to get a photo op in a spacesuit on another planet, lift a real meteorite (or at least, attempt to), and your opportunity to touch a 3.75 billion-year-old moon rock (one of only five touchable moon rocks in the world). Visit the GroundStation Canada Theatre for live science and space shows that cover everything from geology to astronomy, meteorites, and surviving on Mars. For kids of all ages, there's also the (mostly) indoor Vancouver Aquarium, but the Aquarium is considerably less interactive than Science World and H.R. MacMillan Space Centre (though it does have a small play area downstairs for younger kids). Inside you'll find the Tropic Zone, which highlights warm water animals from around the world, this exhibit includes blacktip reef sharks, moray eels and colorful fish, as well as daily dive shows and shark feeds twice weekly. Step into the steamy jungle to meet the sleepy sloths, snakes, spiders and giant fish that call the Amazon home in the Graham Amazon Gallery. The Pacific Canada Pavillion and Treasures of the BC Coast celebrate local sea life and in the Canaccord Financial Exploration Gallery, kids eight and younger can visit Clownfish Cove to nurse a ‘seal pup’ back to health in the new animal hospital, or investigate a touch pool. Catch a film at the 4D movie theatre while you’re here. Warm up your bodies and your brains at one of Vancouver's many 'escape' rooms. Gastown is home to adventures such as SmartyPantz, which features five different themed escape rooms of varying difficulty (and fear factors!). Figure out the clues to escape! Your group will have 45 minutes to escape the room, so you'll need to work together to figure out how you're going to do so.